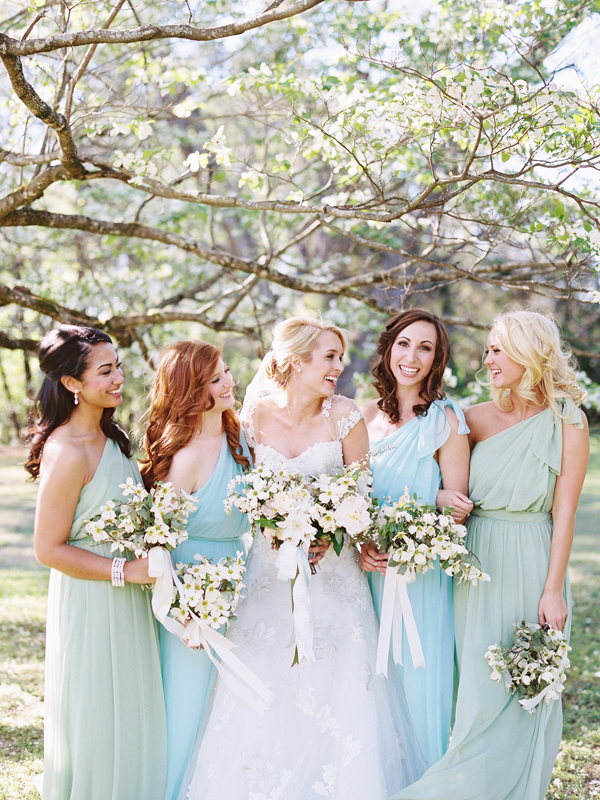 FEATURE - Southern Weddings Magazine - V7! 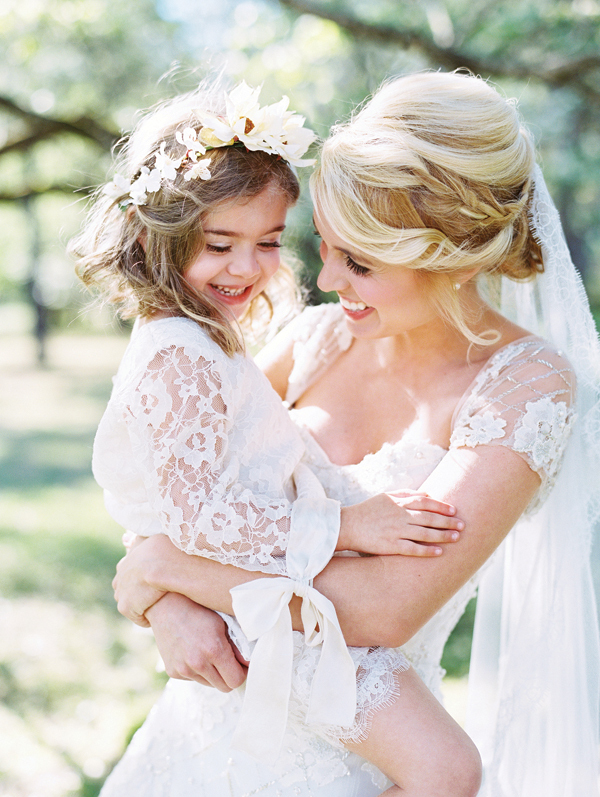 Last spring, I had the incredible honor to provide hair and makeup styling for Southern Weddings Magazine! When the gals emailed me with their inspiration, I knew I had to be a part. 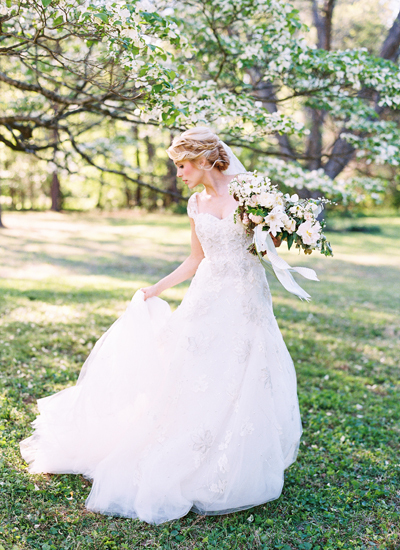 The Dogwood-inspired shoot, "A New Beginning," was everything we hoped it would be - sunny, breezy, whimsical, and surrounded by dogwood trees in full, southern bloom. 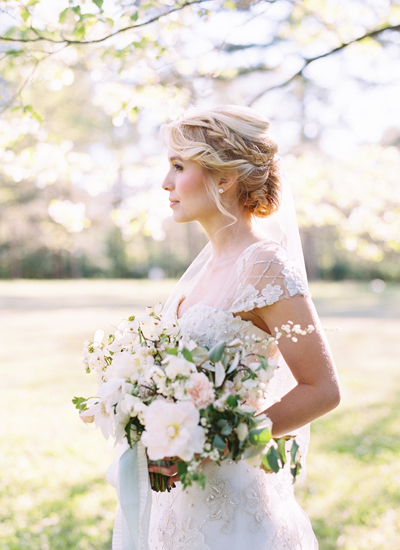 We tried to emanate elegance, simplicity, and whimsy that is so evocative of spring in the south. The full-length bridesmaids gowns from BHLDN were a flowy spectrum of light mint and blue, so we kept the makeup very fresh in peachy pinks and browns. 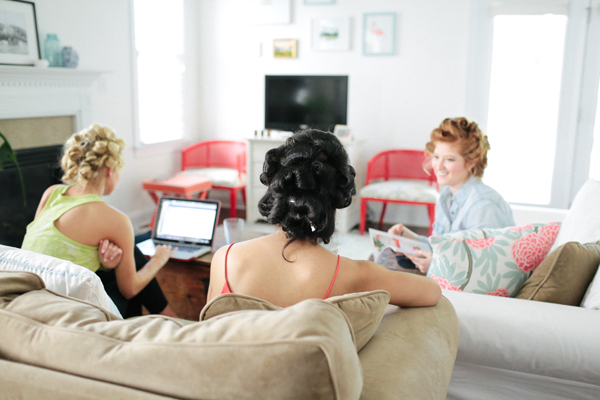 We styled the bridesmaids hair mostly down, loose, and lightly curled, and featured a braided, loose updo on the stunning bride (who is seen in this Monique Lhuillier gown - so gorgeous). 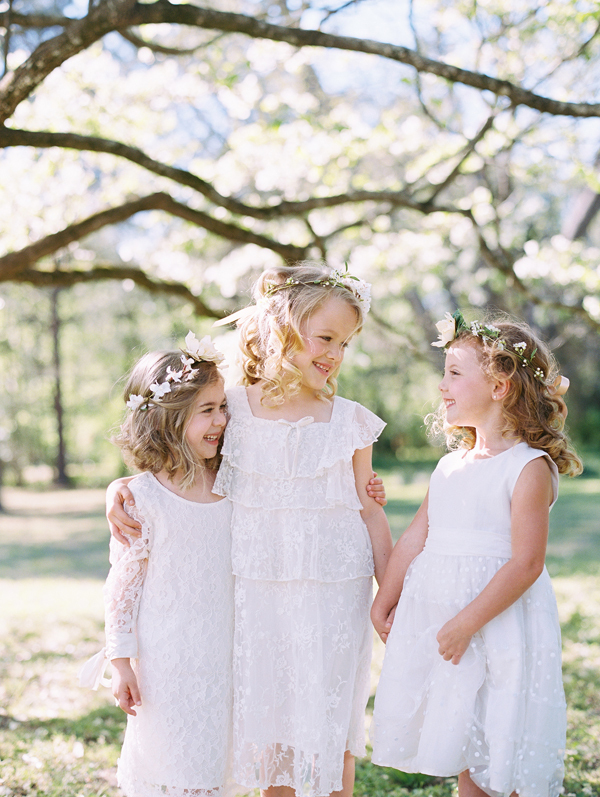 We even got to do a little hair and makeup primping on the three adorable flower girls! See the full posts here and here on the Southern Weddings website, and of course, the full feature is in Southern Weddings Magazine! 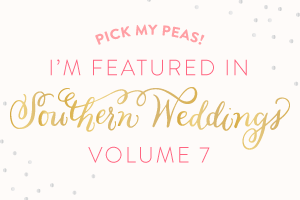 Volume 7 of Southern Weddings is available now at major newsstands and bookstores around the country! We had to wait a bit to share, but like most of the best things in life, it was worth the wait! 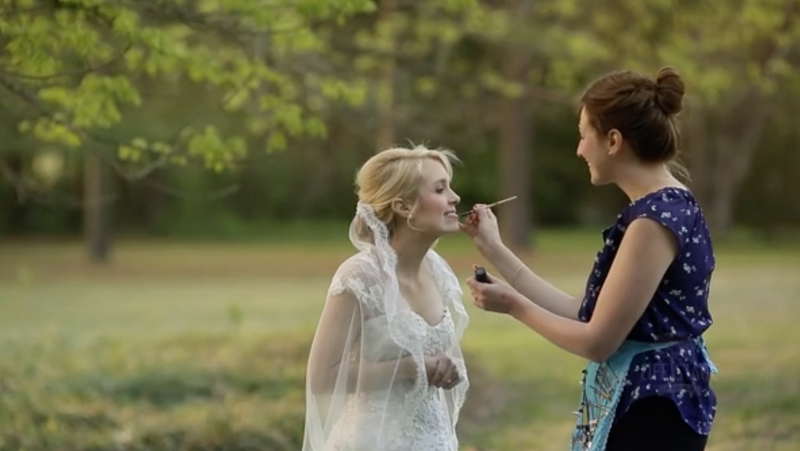 Life Stage Films was also a part of the day, and captured the beautiful moments of preparation and shooting in film. We make a few cameos throughout! So beautiful! 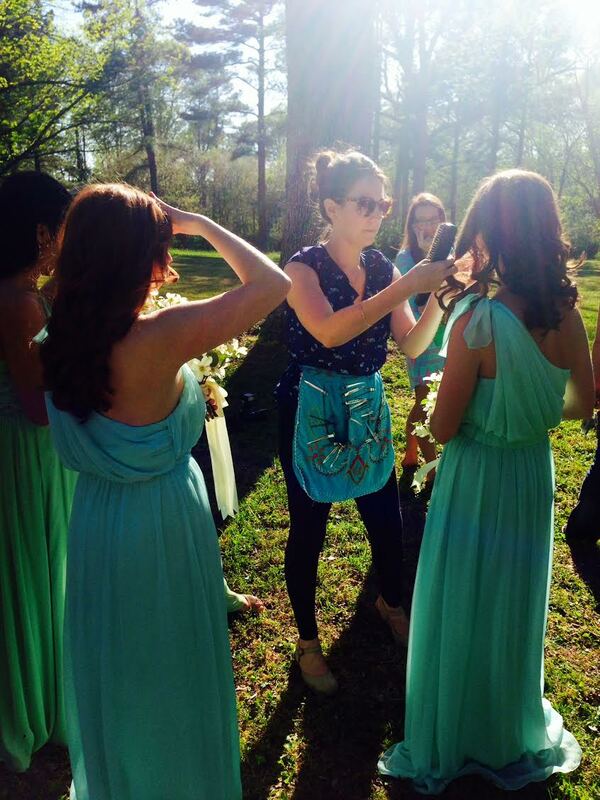 And here are a few behind-the-scene shots from this fun day in sunny NC! 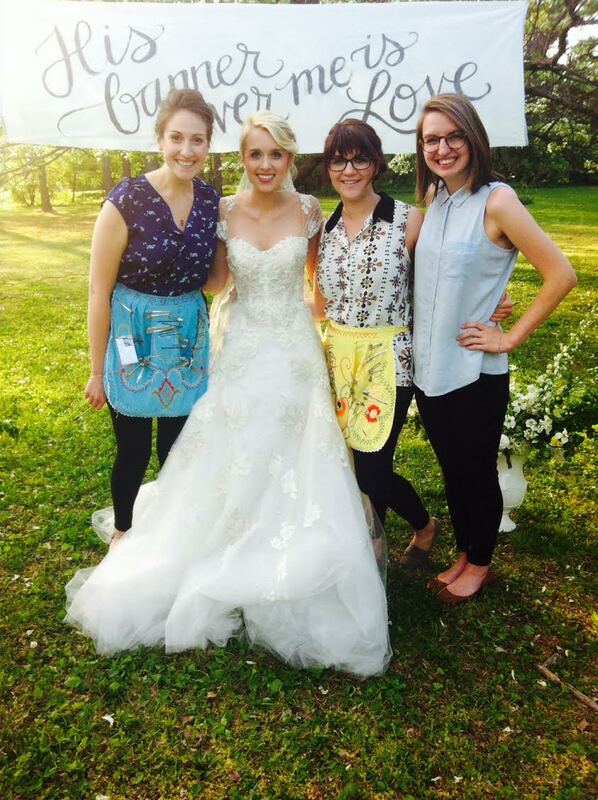 Thank you, Southern Weddings, for this delightful opportunity to do what I love with you! And thank you, Landon and Jordan of Landon Jacob Photography, for capturing these beautiful images! Welcome! My name is Samantha Ray, and I am the creator, dreamer, and lead stylist behind LULA Hair & Makeup. I love all things beauty. I see it everywhere I go, and in everyone I meet. It’s Friday! Gonna jump in with #fridayintroductions today! My name is Sam and my business is named after my grandmother, Lula. When I officially created my business 6 years ago, I wanted a name that would remind me what I know to be true about beauty, what I saw in Lula. I believe true beauty is in the intangible qualities of a woman’s spirit - her strength, her joy, her hope and belief, her courage and kindness (not just southern-etiquette-kindness but deep, gritty, I-love-you-not-for-what-you-do-or-don’t-do kindness!) . I am a Raleigh native and feel most at home under a shade of pines and oaks, either in a rocking chair or in the woods 🌿🌳 . My husband @heyjohnray and I are celebrating 6 years of being married 🙌🏻 We have a few adventures under our belts 🌍(jobs, living in Africa and Israel and with both sides of our families, business ventures, and putting roots back in Raleigh), a kitty named Goldie 🐱, a church family we love, and a pretty deep love for eastern NC BBQ (#samandjohnsbbqtour) . Along with hair and makeup, I also enjoy writing ✍️ (poetry & creative non-fiction), making music 🎶 , going to the farmers market 👩🏼‍🌾, planning gatherings with friends and family 💕, dreaming and making goals 📝(I love the @powersheets from @cultivatewhatmatters! ), winning at Settlers of Catan🤓, BBC and PBS, and laughing big like Julia Roberts. Basically I’m training to be the best grandma ever! . I’m going to be looking back over the last 5 🖐🏻 years of LULA and posting some highlights soon! I’m so thankful for you and your love and support in this little dream job of mine! ❤️ . . So nice to meet you! For more about me, check out my website and journal (link in muh bio! ), my personal insta @heysamantharay, and my stories! This here is an image I’ll cherish for a long time, captured by @ginazeidler of me and @emilyley of @simplified 💕 go check out the new @simplifiedplanner cover designs - I highly recommend these planners whether you’re a SAHM, a student, or a business lady! Have a great weekend beauties!